I build systems and interfaces so I know a little bit. Complexfication for something that should be clear is NOT CLEAR. I signed up for a BYOL 5 user system for AWS. The Usage instructions does NOT point to the AWS config page to do the drill. How the hell do I get this to work? The AWS EC2 configs are done and correct, I subscribed to the FM BYOL 5 user but no concise connect to EC2 is in place as per these instructions. I am sitting in limbo not knowing if my $900 is going up in smoke or if the FM cloud software will ever link to the EC2 instance so what do I do? I sent support requests to FM and to AWS to see if something can be done because I am not going to subscribe yet again and get charged twice for software already purchased. Last but not least, two different usage instructions residing here and on AWS are different instructional documents. If I were in charge of this, heads would roll. Fix this CF. FM is an awesome product, AWS is also really good but Obritera is not. This is totally unacceptable. I hope the hell I can get this to work but right now, NADA is the operative term here. I work for a small nonprofit organization and have no formal experience or training with creating databases or hosting solutions. FileMaker Cloud had a 9 minute YouTube video that does a very good job walking the user through the initial set up process. FileMaker Cloud comes with a 90 day SSL certificate which is great, but I had a lot of trouble going through the process of getting a new one installed. I've spoken to the FileMaker Cloud team and they are now making it so the user can renew their SSL certificate from the console which is a very beneficial step. I'm also interested in connecting my database with Tableau, and while that is not currently an option, I'm told it will be very soon. I'm very happy with the product and how receptive FileMaker is to clients' needs. As a consultant, this product meets most of my own business needs. As the product develops, it will answer all of my business needs. I think it's reasonable to expect this product to meet my advanced technical needs in the next 12 months or so (After this' review's posting). For the average FileMaker customer, there's some technical savvy that's required to derive the best cost/benefit ratio from the AWS platform, but setting up an instance of FM Server in the Cloud (at standard instance pricing) is very easy, even for the average FileMaker customer. This a solid 1.0 product offering. In the next 12 months, I can see this product meeting the needs of many of my clients at a very competitive price point. 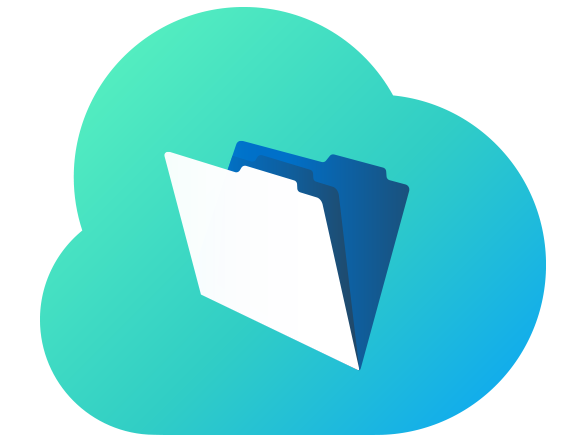 Filemaker Cloud makes it really easy to host your own Filemaker files without the need to know everything of how to run a server and make people access it. Additionally maintenance is the easiest way possible and you never have to worry about upgrades. The setup process is pretty much seamless and works straight out of the box. Good effort in a good direction. I understand FileMaker to be a product intended to simplify the process of creating custom apps for non-professional programmers. Having a way to host those custom apps, without needing to manage hardware and server software, and without relying on a third -party provider, is an attractive option to a non-professional programmer. So as a concept, I think FileMaker Cloud is a solid idea, and I'm glad to see FileMaker moving in this direction. That said, navigating the setup process involves a lot of research and complicated processes. I suppose it's simpler than some of the alternatives (short of paying somebody else to do it) but it does not feel like an optimized process, nor a simple thing to understand before diving in. For example, I had a few issues figuring out billing. The variety of purchasing options is a bit overwhelming, and I first chose an hourly subscription. It took my first bill to learn that hourly billing equals all of the hours my instance was active, not all of the hours I used my hosted file. I tried to figure out where I had overlooked an explanation of how hourly billing worked, and, to my defense, concluded that it was all but impossible for a non-expert to anticipate. I also found the number of new products and new accounts to be a hassle. Comodo SSL certificates, instances, instance types, AWS accounts, key pairs... there are probably a few more I am forgetting. These are things that may be familiar territory for an expert, but if FileMaker is supposed to be a tool for non-professionals... it is a bit much. But my overall experience was positive, and that was for two reasons. The first, is that the product works. Once I got setup, it's been smooth sailing. The Admin console is well-designed and I have had no issues. And the second reason is that customer support has been excellent. FileMaker, AWS and Orbitera offered prompt and intelligent support and it leaves me with the impression that everybody is trying hard to put customers first, and to make this new offering better. So overall, I think it's a good first effort in a good direction. Once the setup process is simplified, it will deserve 5 stars. Our company has been wanting to offer our customizable FileMaker retail product on the cloud for many years. FileMaker Cloud has provided a great platform in which to do this. It makes setting up a cloud server much easier than if we had to do it manually. It's quick and straightforward and because it's linux-based, it's very affordable compared to Windows-based instances. We've also found the performance to be dependable and solid. The admin console is also very clean and easy to learn and use. FileMaker Cloud has quickly become our first choice for offsite hosting for many of our clients. There are some limitations compared to FileMaker Server, like no scheduled scripts, limited access to backups, availability of plugins, no external authentication, and no CWP. However, for many of our clients, FileMaker Cloud is a great fit. We love how easy it is to set up and maintain as well as the ability to scale the instance size up or down to find the best balance of performance and price. We prefer the BYOL version because it allows us to purchase the best license type and quantity for each client. Performance and reliability have been great so far. Entirely web and email driven process to transfer your license, took less than 5 minutes to complete. Didn't have to dial any phone numbers or wait in queue. Smoothest, easiest, way to get up on running on FileMaker Cloud using your existing license.